Mia Group of companies launches DAIKIN air conditioner units in Pakistan. 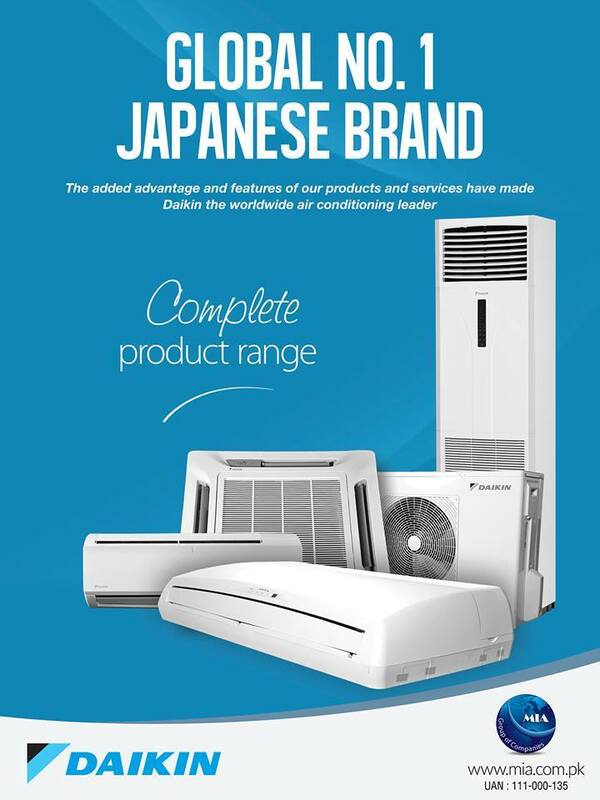 Daikin is a very popular domestic and commercial air conditioning Japanese brand. Daikin in Pakistan brings new era of efficiency and competition in Pakistani air conditioning market. Daikin now comes up with new domestic AC products in Pakistan, including floor standing AC unit, chiller, Round Flow ceiling AC and wall mount split AC unit. Goto to http://price.paktron.net for AC Price in Pakistan.